Year after year, the Honda brand strives to improve its lineup. So, its only natural that you’ll notice a couple differences between the 2018 Honda Civic and the 2017 Honda Civic. Regardless, the high quality stays the same. Any Cerritos, Los Angeles, or Long Beach drivers who are having trouble choosing between the two will want to check out this comparison by the Norm Reeves Honda Superstore Cerritos team. If you’ve been paying attention over the last few years, then you’ve probably noticed that the Honda Civic has taken a shift towards the sportier in terms of design. However, in offering the Civic Si variant, it took a shift in terms of performance, too. The Honda Civic Si carries over to 2018, as well. This sleek coupe offers a beefier powertrain and a sharp body with a rear spoiler for more of a fast-paced look. Its interior, too, is decked out in sporty accouterment. However, the 2018 Honda Civic takes things a step further by offering the new Type R variant. If you thought the Si looked sporty, then you’ll really be impressed with the look of the Type R. It also includes a souped-up 4-cylinder engine capable of producing more than 300 HP. In 2017, the Honda Civic made quite a splash in terms of its safety. It rolled away from crash testing with a couple highly sought-after awards, cementing its position as one of the safest, small sedans on the market. The 2018 Honda Civic is still awaiting some of its test results, but it seems likely that it’ll nab the same commendations. In all, it offers many of the same safety features, including Advanced Compatibility Engineering and Vehicle Stability Assist. Honda Sensing is available in both these models, as well. This smart suite is one of the lynchpins of the Civic tech array. It uses sensors and cameras to predict when accidents are about to occur, and it stops them from happening. Honda seemed to strike a high note with performance in the 2017 Honda Civic. Whereas many other small sedans in its class were producing less than 140 HP, the Civic managed to generate as much as 158 HP. Clearly, the 2017 Honda Civic and the 2018 Honda Civic have a lot in common. However, the 2018 model goes the extra model when it comes to offering Cerritos, Los Angeles, and Long Beach drivers sportier options. To decide between these two models, a test drive may be in order. 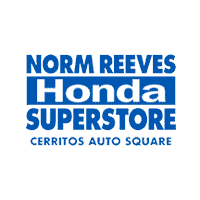 Contact Norm Reeves Honda Superstore Cerritos to schedule your test drive today. 1 28 city/40 highway/32 combined MPG rating for LX model with 6-speed manual transmission. 31 city/40 highway/34 combined MPG rating for LX & EX CVT models. 31 city/42 highway/35 combined MPG rating for EX-T model with 6-speed manual transmission. 32 city/42 highway/36 combined MPG rating for EX-T, EX-L and Touring CVT models. Based on 2018 EPA mileage ratings. Use for comparison purposes only. Your mileage will vary depending on how you drive and maintain your vehicle, driving conditions, and other factors.